The Alliance Church of Cheektowaga met for the first time on January 1, 2017! Our initial meetings are designed to have a time of Bible study, prayer, and leadership development. These sessions will include conversations about the purpose, mission, and proposed plans for the new church plant. We've recorded the leadership training part of the sessions to allow those who who aren't able to make it in person to be able to keep up with the conversation. Below you will find links to YouTube videos of the sessions, including the overheads we used, as well as any videos that we watched. You'll also see links to the PDF files of the printed materials we handed out. You can send a message to actsoflight@gmail.com with any questions or comments you have. 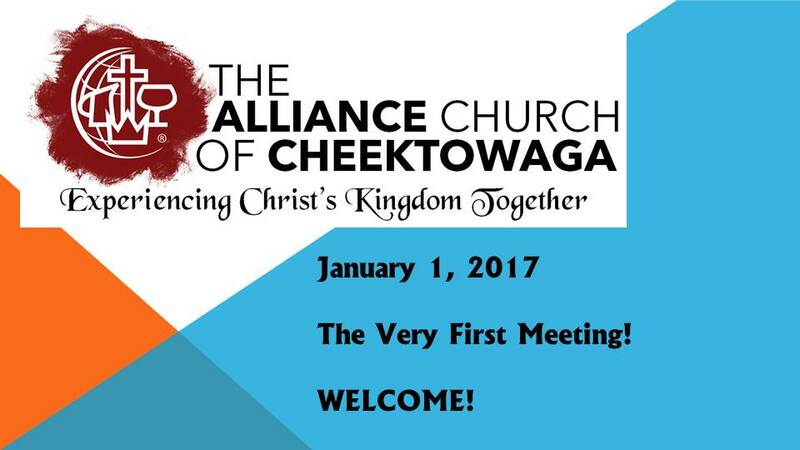 In the first session we talked about the mission of the Alliance Church of Cheektowaga, including explaining WHAT our church will accomplish and HOW we're going to do it. Pick HERE to download the PDF of the fill-in the blank notes from the session. In the second session we continued the talk about the mission of the Alliance Church of Cheektowaga, including explaining WHAT our church will accomplish and HOW we're going to do it. The fill-in the blank notes for the session are the same as the ones for the first session. In the third session we discussed Acts Chapter 1, watched John Stumbo's third video blog, and then watched a training session by Andy Stanley called Trust vs. Suspicion. While there are no pre-printed note pages for this session, you'll want to have a few blank pages so that you can take notes. We'll be discussing this video when we meet for session number four. In our fourth session we began by discussing the Trust vs. Suspicion presentation by Andy Stanley, we watched John Stumbo's fourth video blog, and then we began a series designed to dig deeper into the five aspects of the WHAT - Reach, Build, Equip, Multiply, and Send. This week we began to consider how the Alliance Church of Cheektowaga is going to Reach people for Christ. Pick HERE to download the PDF of the fill-in the blank notes from Session Four. Part of our discussion was based on criticism that Andy Stanley received during a sermon series in 2016. For more information on that sermon series, the criticism, and a response from Andy Stanley, check out the following article by Relevant Magazine. Pick HERE to read it. The sixth meeting of the Alliance Church of Cheektowaga. This week we begin to talk about how we're planning to Build the Believer. Pick HERE to download the PDF of the fill-in the blank notes from Session Six. I'm still working on the sessions which fall between Session 4 and Session 12. They should be uploaded and made available as soon as possible! In our 12th session we completed the series of the targeted WHAT of The Alliance Church of Cheektowaga by discussing the importance of Sending the Called leaders we've trained. Pick HERE to download the PDF of the fill-in the blank notes from Session 12. Pick HERE to listen to the Interactive Prayer Experience. 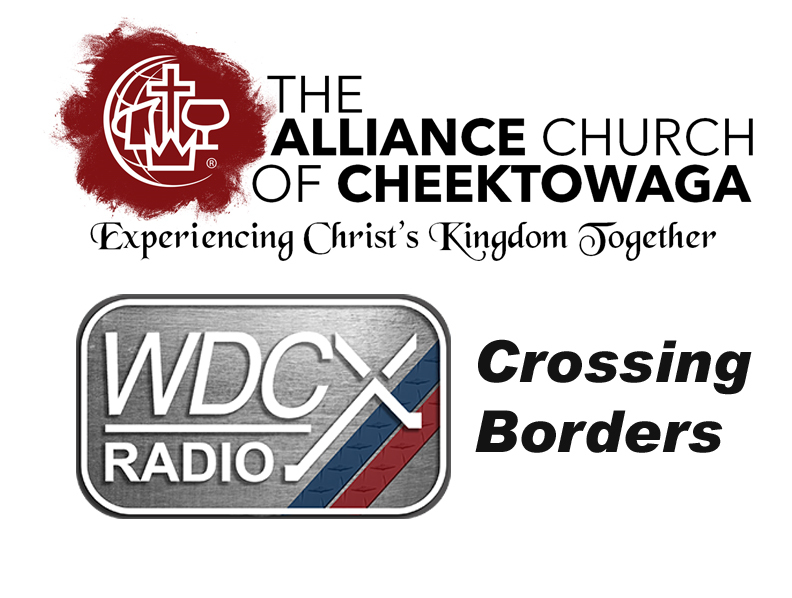 PJ was interviewed on Crossing Borders on WDCX to let WNY know about The Alliance Church of Cheektowaga. Check it out! Pick on the image above to listen to the program.